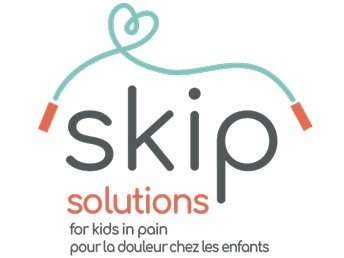 April 15, 2019, Halifax––On Thursday, April 18th 2019, join us as we launch an exciting new national knowledge mobilization initiative, Solutions for Kids in Pain (SKIP). Based at Dalhousie University and co-led by Children’s Healthcare Canada, SKIP seeks to bridge the gap between evidence and practice in health institutions by bringing together more than 100 partners to transform pain management for Canadian children. What: “Injecting Innovation into Health Care”, a live brainstorm and SKIP launch, hosted by Dalhousie pain researcher, Dr. Christine Chambers, along with Dr. David Anderson, Dalhousie University Dean of Medicine, Erica Ehm,Founder and CEO of YummyMummyClub.ca, Emily Gruenwoldt, President & CEO of Children’s Healthcare Canada, and Rob MacCormick, a Halifax dad with children who have faced pain challenges.